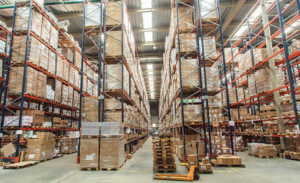 We understand the challenges of Inventory & Warehouse Management. With hundreds of customers in the industry, we have developed quite a level of expertise in this area. From business with 100 inventory lines, to 1,000,000+ inventory items, we have the knowledge to help you. We understand that Inventory Replenishment and optimising stock holding to free cash are imperative, and have the solutions to meet replenishment requirements. With our inventory software, we can help you manage simple stock re-ordering, whether that factors in lead time, historical sales, min/max re-order points, current demand or more. We automate the creation of purchase orders (with optional approval) and consolidate goods by supplier to help you maximise your buying power. The pay-off on this automation is reducing the manual labour and quite often complex spreadsheets that are managed to predict reorder requirements. We understand the process of managing Landed Costs. We can help you to truly cost your products including duty and freight charges, and any other on-costs that are required to be costed to the product. We have solutions to mobilise your warehouse receiving, dispatching and picking processes with with tablets. We can also integrate to freight management systems for customer deliveries and label printing solutions. 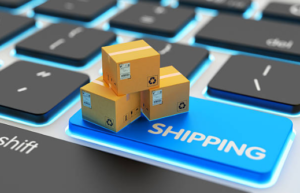 Electronic placement of orders with suppliers and customers can also be a critical component of wholesale distributors and the need to trade with the partners and streamline their supply chain. Just as important are the ability to accept orders through multiple channels such as an e-commerce solution through a website serving B2B requirements. We deliver advanced business intelligence, analytics and reporting that is real time and live through interactive dashboards covering all the key areas of inventory based clients from slow moving products, out of stocks, margin reporting, sales performance and much more. Want to improve your inventory and warehouse processes? If you are an inventory based business and want to streamline and improve your inventory and warehouse processes then please have a conversation with us. With our experience across a range of industries, we have definitely helped other customers in similar situations.